From the benefits of art therapy, to building your own computer, to creating a bouquet of welded roses, there is no shortage of variety in Capstone projects by Alliance High seniors. 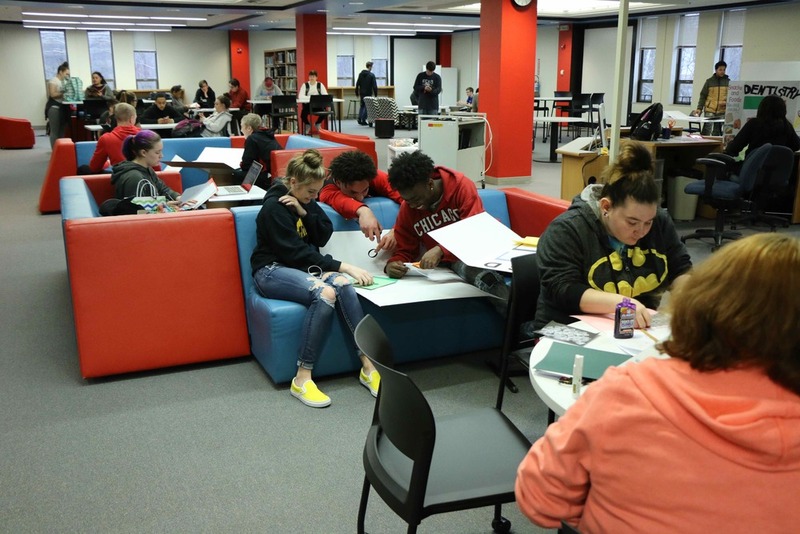 Students in Ms. Jessica Pike’s, Ms. Ingrid Risden’s and Ms. Barbara Mudrak’s senior English classes were required to complete a Capstone project for graduation. They will display those projects Thursday, April 12, from 1 to 5 p.m. in the high school gym. Adult visitors to the Capstone display must bring I.D. Cookies and punch will be available from 3:30 to 5 p.m. For more information, call the high school at 330-829-2245. 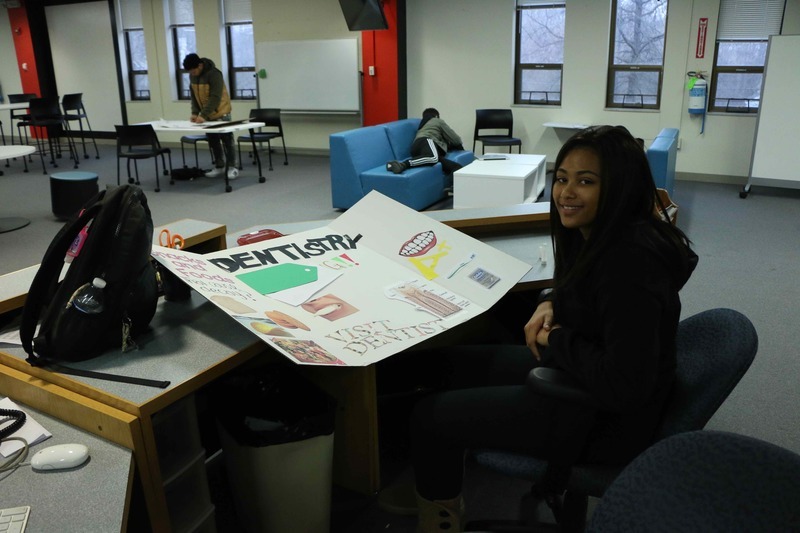 Senior Zaire Dixon nears completion of her trifold board explaining good dental care. Dixon did her Capstone project on becoming a dentist. 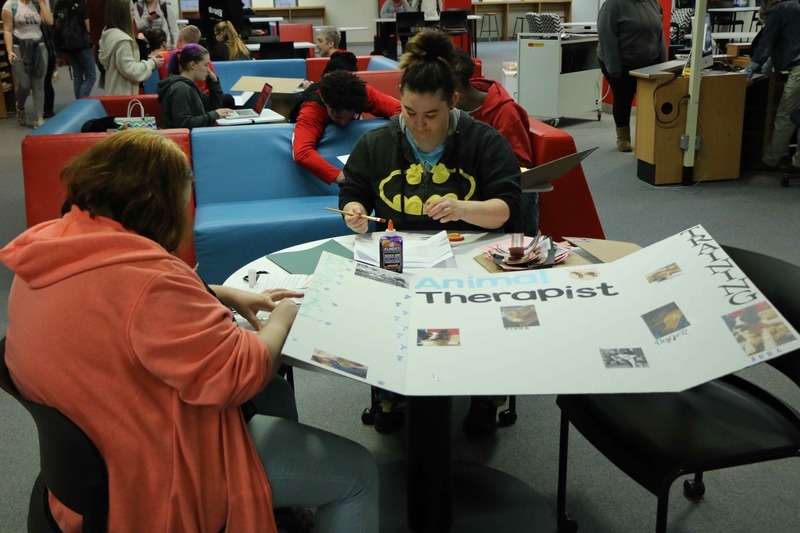 Mikinzie Sullivan works on her trifold boards for the public display of their Capstone projects Thursday. Sullivan researched the proper way to sterilize equipment used by tattoo artists.